Yes, baby its cold outside but there is nothing to gloom in this. Winters do come with most happening things as well. Things like the cocoa, the burning fires and the lovely outfits. Who says that just because winters have approached so you need to pack-up yourself and look gloomy and boring all the day? It’s actually not like this; in fact the cooler season brings more and more options for you. You can wear different layers of clothes which would absolutely make you more cozy and cute all the season. The bundled and multi-layered outfits are actually the true definition of the cold season. With these only comes the real meaning of the cold weather. 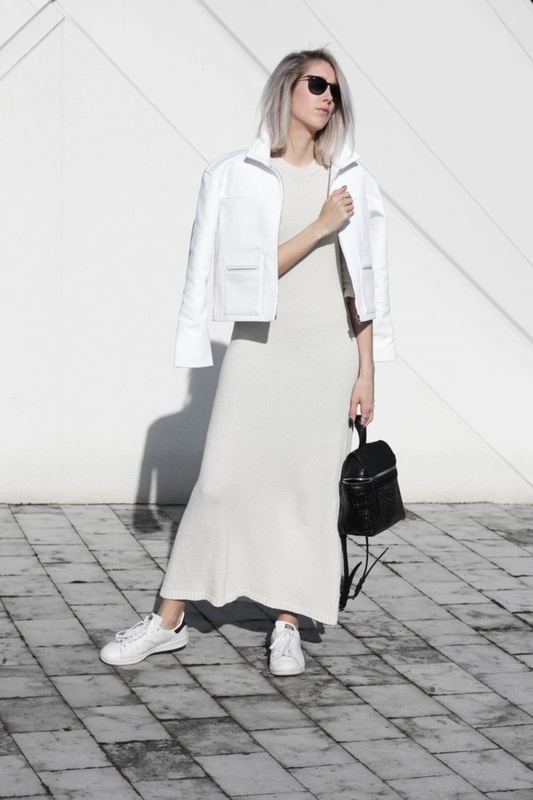 So, if you are looking for the style ideas other than the standard coats and sweaters, then you have come at the right place. 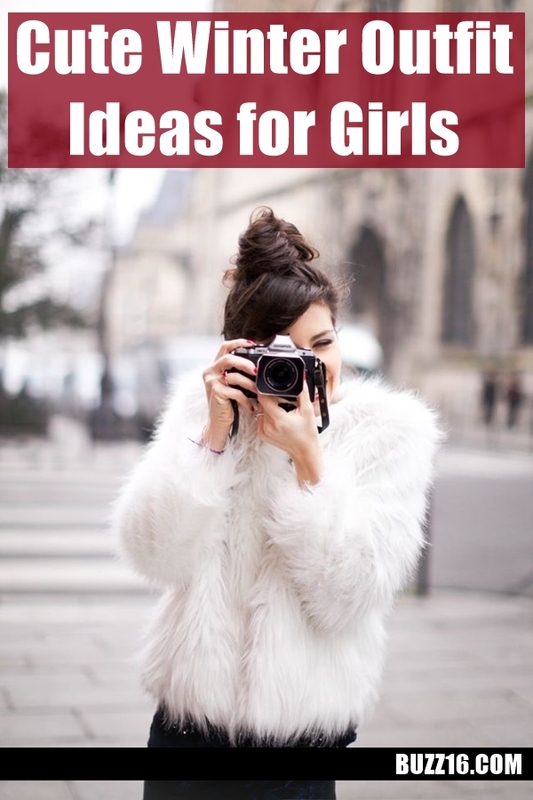 Coming up are the cute winter outfit ideas for girls and also look cool street fashion ideas. Winters doesn’t mean that you only need to wear the clumsy outfits. 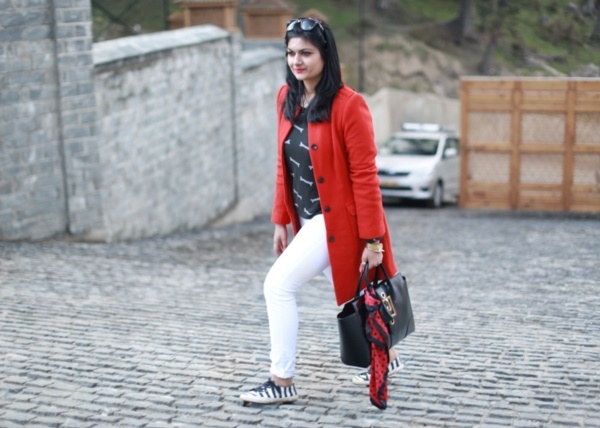 This winter try wearing an unzipped puffed coat with a long legging and a sweat shirt under it. Do not forget to carry the right handbag matching your coat. Also, the long boots may come handy in this case. 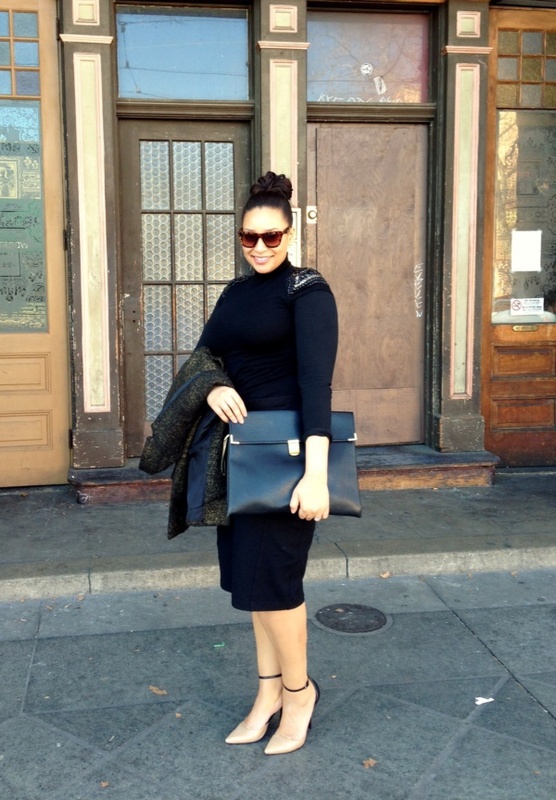 The puffiness is the cute element in this complete outfit. Change your wardrobes and make them shine with the faux-fur jacket this year. You can also dress in combination with the jacket. The idea is to look cute and bubbly then can there be any other bubbly color than bright orange? In winters, the bright and deep colors are always appreciated. If this winter you want to shed your dullness and look cute then wear a long orange coat with the trousers or pants under it. You can also look for a furry muffler and stroll in your neck to make it more impactful and loud. Yes sunglasses in the winter. When during day time, the bright light will fall in your eyes then use the bold sunglasses which are the add-ons. They will soothe your eyes and eyes of other people as well. Moreover, the idea of wearing boxy jacket with a commendable high waisted formal pants and a shirt is absolutely stunning. 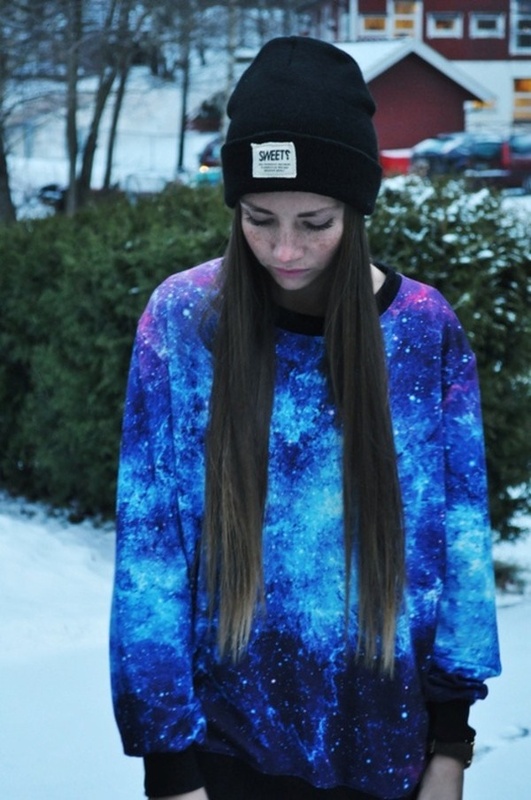 It’s really one of the most appreciable and cute winter outfit ideas for girls. It’s not necessary to look professional and packed all the time. Sometimes, you can just try being too comfortable as well. Isn’t it actually amazing? Going with a animal theme in the cold days is actually a brilliant idea. You did not need to think much and at the same time get bigger results with just small efforts. You will surely attract and look truly adorable by wearing the skirt with leopard skin print. Above this, the sweet cat hat is the show stealer. It will make your face look much innocent and would spread the right message around. Winter outfits can actually be worn with so innovation. Unbelievable. Whoa! How can you just forget plaids in winters? It’s been actually a great symbol of winters in the movies as well. 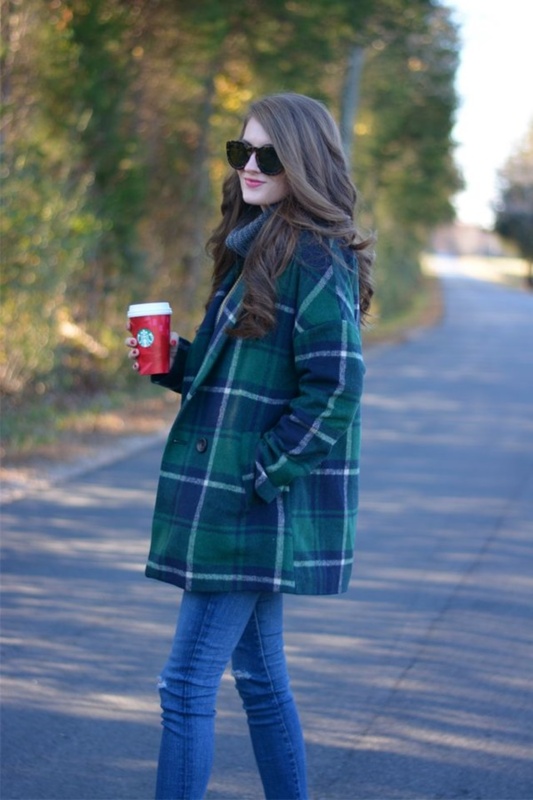 Plaid coat matched with heels is another cute winter outfit ideas for girls. Plaids can be of various colors and moreover of various sizes. They are a complete set of designs in clothing which are actually popular round the year. In summers, the casual shirt with plaids and in winters the long overcoats with plaids is great. There are even blankets popular with plaids on them. Combine the color of plaids and the color of your wheels with the similar nail paint color painted with a plaid design. You will be considered as the fashion diva by many around. Ideas for dressing in winters in a cute way are just endless. You can combine anything if you possess the right fashion sense and the right choice according to the season. So, style uniquely and remain popular always.Try some amazing gorgeous prom dress to rule the party.